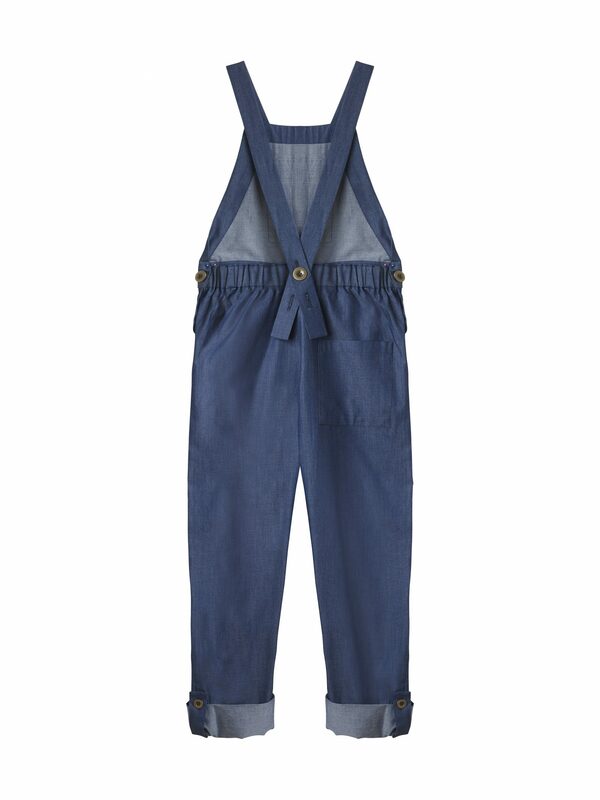 Lightweight indigo denim dungarees with rolled up hems and cross over straps. Our effortlessly cool Denim Dungarees are made from the finest British woven indigo denim, which is incredibly soft and lightweight. We’ve thought about every little detail from the antique brass buttons, to the gorgeous cross back design and bib pocket. The fit of these dungarees is relaxed and slightly oversized. They’ve been designed for little people to grow, with details such as the softly elasticated waistband, rolled up hems, adjustable shoulder straps and side buttons. These dungarees are made to last through the seasons and are sure to be a timeless wardrobe favourite.